This is the pistol that started it all. 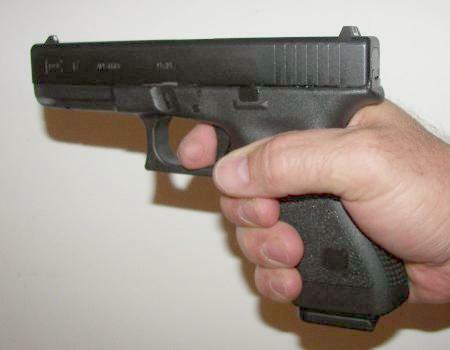 The GLOCK 17 9mm polymer framed pistol. The original first generation guns were superb and through the third generation remain the excellent, dependable and seemingly supernaturally durable pistols that they have been from the start. 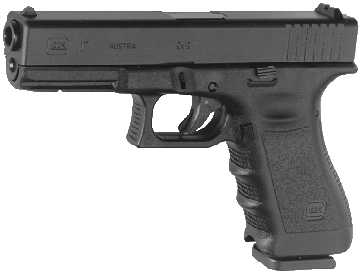 The frame of this gun is the same frame that the GLOCK 22 is built on, consequently most accessories for the G22 fit the G17. Sights and holsters in particular are abundant and all fit either gun. 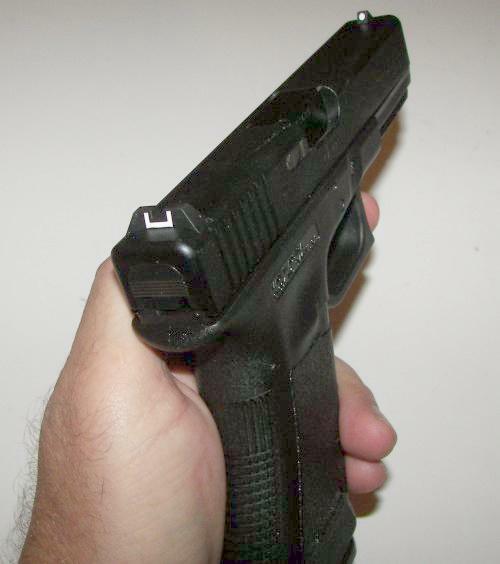 The G17 fits easily in my average sized hand, and is easy to aim, get on target and get back on target once the shot is fired. The gun has a low bore axis and points and aims naturally. It is also a full size handgun which makes it a particularly soft shooter of the 9mm load. My GLOCK 17 is unmodified and is great right out of the box. The gun is very accurate (more accurate than I am capable of taking advantage of) and has the potential to make a "rescue shot" with the factory sights in hands capable of pulling that off. That's not to say that it would not be to the advantage of any GLOCK owner to replace the terrible plastic sights that come on them. A set of TruGlo or Meprolight sights are well worth the investment. This G17 is moderately priced like all GLOCKS and is one of the best values in the gun market, not only for the gun which will outlast most owners, but also for the economical 9mm ammo it shoots. Like all third generation GLOCKS it has an accessory rail for a flashlight. I never have figured out why anybody would mount something on their gun that would show their enemy where to shoot at night. 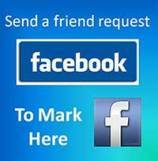 In any case, you can if you want to. GLOCK 17's are one of the most popular guns in stock pistol divisions of both IDPA and IPSC because of their high capacity and soft shooting accuracy. And by the way, if you want to carry it. Go ahead. 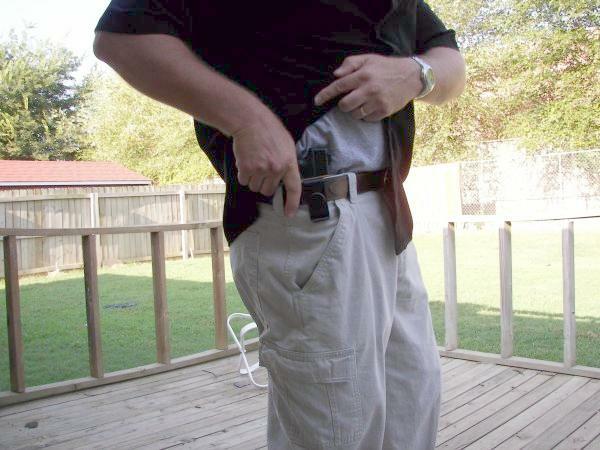 Sure it's a full size pistol but it carries comfortably in an inside the waistband holster under casual clothes in any weather. CONCLUSION: If you're looking into the purchase of a 9mm pistol, there is really no reason not to buy a GLOCK. It will serve you well for decades of shooting and serve you in a variety of ways including recreation, competition and self defense.